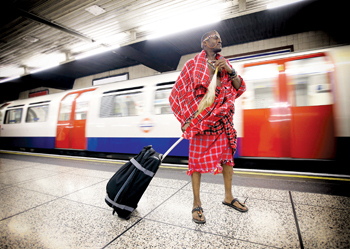 In a recent survey commissioned by travel technology provider, Sabre, travellers from four countries – South Africa, Nigeria, Kenya and Egypt, specifically those having flown in the past 24 months were asked about their travel preferences and key points in decision making. The results give us in the industry key insights into trigger points for growth. For example, African travel spend can rise 24 per cent with the introduction of African Union Passport in 2018. The new passport will enable African travellers to visit other countries on the continent without a visa. In absolute terms, this translates to growth from $1,100 to $1,500 annually. A common theme across all responses was a strong interest in experiencing a travel journey that is more personalised and appealing to their taste. Respondents said that they would be willing to spend up to $104 per trip on an airline’s extra products and services – such as excess baggage, cabin class upgrades, and special food and beverage – if it improved and personalised their journey.